It was a bloodbath that happened out of sight of the rest of the world and was largely unnoticed even at home, occurring in the runup to fiercely-disputed elections. 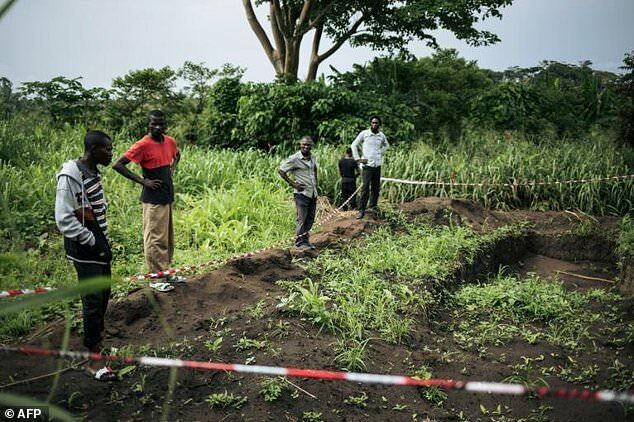 Days passed before details began to trickle out about what had happened on December 16 and 17 in Yumbi, a remote territory in southwest DR Congo. It was a whole month before a preliminary UN investigation said "credible sources" had found nearly 900 people were killed -- a figure later scaled back to 535 after bodies had been identified. 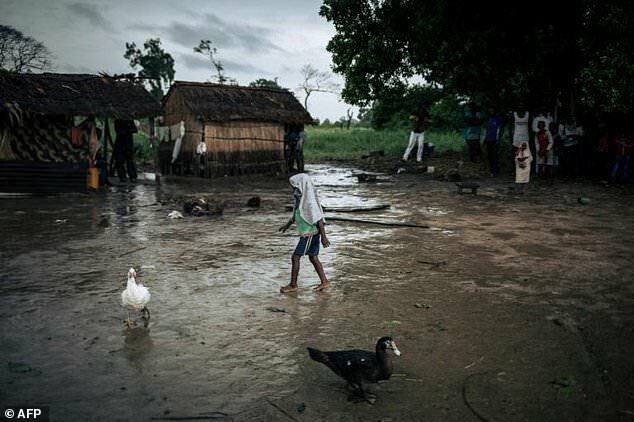 Some 16,000 refugees fled across the Congo river into the neighbouring Republic of Congo. The authorities have characterised the violence as a spontaneous act -- long-simmering tensions between the Batende and Banunu communities that suddenly flared over the burial of a Banunu tribal chief. But when AFP visited the scene last week, sources said the violence was a carefully-planned massacre of the Banunu. The attack was carried out using military-style tactics and some assailants were dressed in army uniforms, they said. Some implicated members of the armed forces and the local authorities in the massacre. Colonel Olivier Gasita, sent to the region on December 20 from Kinshasa, around 400 kilometres (250 miles) to the south, said: "The assailants were well organised. Clearly there was an organisation commanding them." 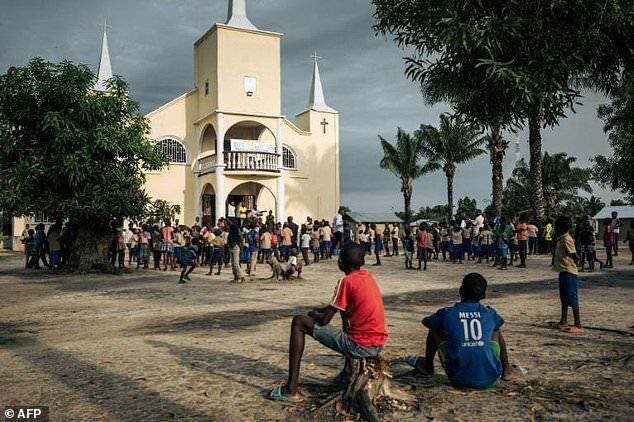 Refugees from the massacres at Yumbi in DR Congo gather at the church in Makotimpoko, a town in the Republic of Congo on the far side of the river. "Between 3,000 and 4,000 men attacked the area," said Gasita, who has become Yumbi's acting territorial administrator. There was a "training camp" in the Yumbi region, he said, without giving its location. Men in military uniform and armed with assault rifles gunned down Banunu people, said many survivors who had fled across the river to Makotimpoko in the Republic of Congo. The colonel spoke of "a three-column attack -- that's a military tactic. That shows that military men, either deserters or demobilised men, were involved." "The soldiers were right in the front line," said Bosukisa Montole, a refugee cradling his son, who had a bullet wound in the neck. The grave of the Banunu traditional chiefs in Yumbi, where burial plans reportedly served as the signal for slaughter. Another soldier, who wished to remain anonymous, told AFP "around 30 troops" had directly participated in the violence. He said that his unit, deployed in one of the four targeted villages, Bongende, received warning messages from members of the Batende just before the onslaught began. 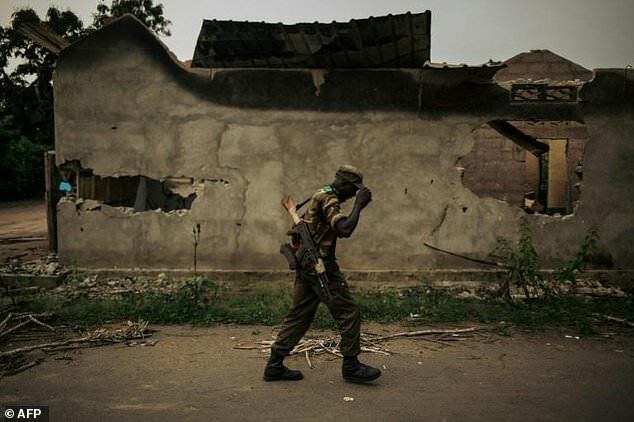 "They called us to say that they were going to fight the Banunu," the soldier told AFP, asking not to be named. "They told me that if the Banunu brought back the body of their tribal chief, that would be the signal to start fighting." 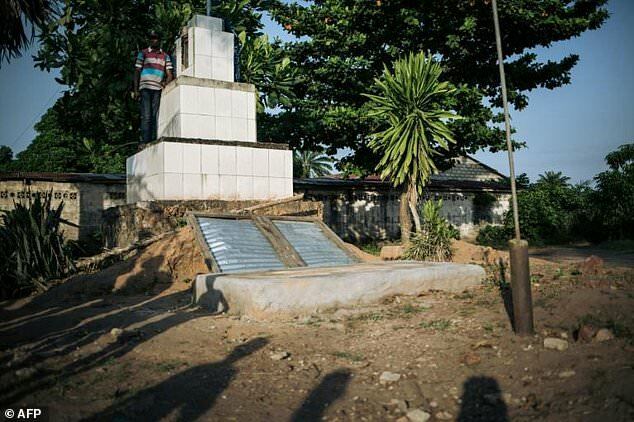 At least 339 people perished in Bongende village on December 17, according to investigators. The soldier said that three days before the assault, he notified the Yumbi authorities that suspicious men were gathering at the home of a school headmaster in Ngamabila, situated near Bongende. But his concerns were not addressed, he said. "Attackers went to the home of the primary school headmaster to camouflage themselves," said Richard Nkumu, a teacher from Bongende who took refuge in Makotimpoko. Survivors of an attack on the village of Bonguende stand by a mass grave, where 100 victims are reputedly buried. At least four Banunu people who had spouses or friends and relatives among the Batende were given several days warning ahead of the attack, survivors told AFP. "A Batende friend came to say that I should flee with my family because soldiers were going to attack," said Raoul, who took a pseudonym and is today a refugee. After the bloodshed, the government replaced several territorial officials, including the police and intelligence chiefs, army staff and administrative personnel. The local chief of the National Intelligence Agency (ANR), Paul Mutumbula, was arrested in Yumbi. He is now being investigated by prosecutors in a military probe launched by Kinshasa. Yumbi's police chief, Major Dominique Matshindi, has gone on the run. The territorial administrator, Paul Mbo Nsami, was killed soon after the attack on Yumbi in murky circumstances while he hid in the local premises of the electoral commission, which had been wrecked. The massacre took place just four days before elections that brought the curtain down on President Joseph Kabila's 18-year reign. He was replaced by Felix Tshisekedi, head of Democratic Republic of Congo's veteran opposition party, the UDPS. Polling in Yumbi was postponed because of the violence -- a measure that was also implemented in parts of the east where militia groups have killed hundreds of people in the last five years.